Leaders of the opposition Congress in Manipur called on Governor J Mukhi on Friday to formally stake claim to form an alternative government in the state. Manipur Governor Najma Heptulla is on leave while Assam’s Governor Mukhi is looking after Manipur these days. Soon after coming out of Raj Bhavan, Opposition leader and former Chief Minister Okram Ibobi Singh said, “We demanded an immediate dismissal of the BJP-led coalition in Manipur because Congress, which had secured 28 seats in March 2017 Assembly elections, was not given a chance to form a government despite emerging as the single largest party. However, Mukhi said he would look into the memorandum submitted by the Congress. The BJP, which secured 21 seats in last year’s elections, was given the first chance to form a government. It had joined hands with some splinter parties. 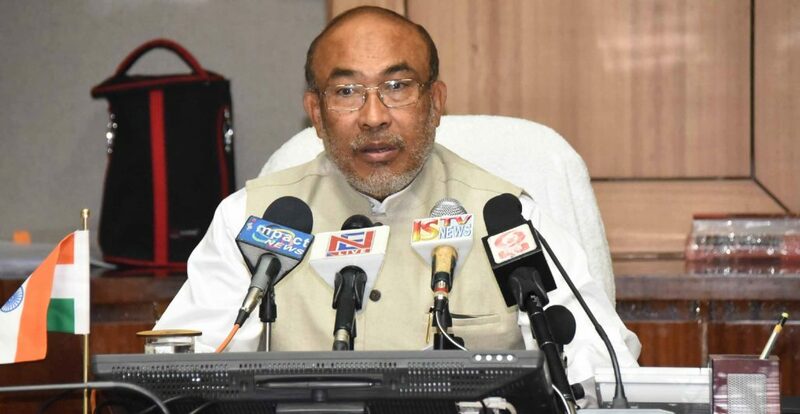 Declining to comment on the political developments unfolding in Karnataka, Manipur Chief Minister N. Biren Singh said, “It is a constitutional matter and I would not like to comment on it.” Ibobi said that his party will wait till 4 p.m. on Saturday and then it will take its next course of action. Several politicians and legal luminaries are of the view that the fate of the coalition government in Manipur hangs precariously on the outcome of the trial of strength in Karnataka.